That’s a lot of seniors looking to online dating for help, and since dating in your 50s is totally different than in your 20s, the dating sites they use should reflect that, which is where this list comes in handy. Here are our 11 Best Dating Sites for Over 50. You can also check out our in-depth expert reviews of the top 4 sites here. 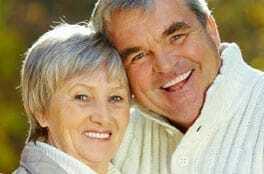 Whether you want a deep relationship or a just a fun date, SilverSingles is a go-to site for singles aged 50 and up because its uncomplicated design makes meeting that special someone feel convenient and safe. SilverSingles is also one of the fastest-growing dating sites around, which ensures that you’ll find plenty of like-minded singles in in your area. Elite Singles is also extremely successful — more than 165,000 people sign up every day, and more than 2,500 singles find love on the site every month. With an intuitive layout, unbeatable matching system, and the largest “over 50” user base of any other dating site, Match.com is a great choice for seniors. Match was founded in 1995, making it the longest-running dating site. But it’s also the most trusted because it’s responsible for more romantic connections (including among seniors) than any of its competitors. Those who are very serious about finding a long-term relationship should go with eHarmony. Not only are 20% of its users 50+, but the site also focuses heavily on compatibility when pairing people up. And because the site is dedicated to mature men and women, you won’t have to worry about weeding through incompatible profile after incompatible profile. For seniors of the Christian faith, you’ll want to turn to ChristianMingle, where you’ll find compassionate singles who have the same values and beliefs as you do… and who are just a few clicks away. 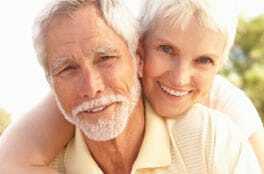 “You don’t have to be alone” is the motto of SeniorMatch, and the site truly stands by that. Having been in the online dating business for more than 14 years, SeniorMatch will help you find love, companionship, travel partners, and more. Bonus: No one under 30 is allowed to join. Forget the labyrinth other sites make you go through — SeniorsMeet gets you right to the dating with one of the largest and most active online societies for mature singles. If age really is just a number to you, then AgeMatch is your best bet. Specifically designed for older men who want to date younger women, and older women who want to date younger men, AgeMatch takes the shame out of May-December relationships with its open-minded atmosphere. Dating in your 50s doesn’t have to be hard, and it definitely doesn’t have to be scary. No matter which site you pick on this list, we wish you luck in all your dating adventures!